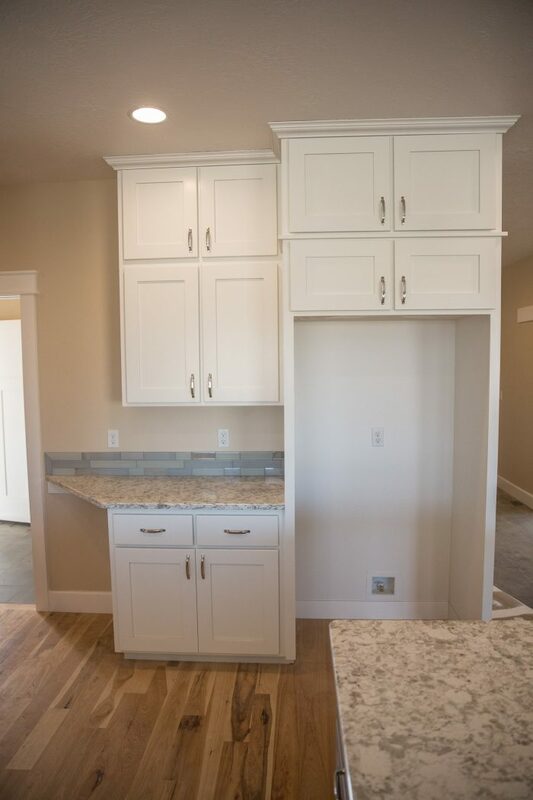 Since 1990, Skeen Construction Co. has proudly provided custom cabinets to residential and commercial customers across Oregon. Our specialties include the design, creation and installation or kitchen, bathroom, garage and utility cabinets, among others. We work with all styles of wood to produce beautiful cabinets in the styles you desire. Contact us today to schedule an appointment. Cabinets are the face of your kitchen, bathroom or garage. More than just an aesthetic feature, they’re also an important functional part of your space, as well. At Skeen Construction Co., we know how important it is to satisfy the demand for both beautiful and functional cabinets. It’s why we take the time to design, create and install some of the very best custom cabinets in Ontario, OR! If you’re updating your bathroom, remodeling your kitchen or modernizing your office, our team is ready to furnish it with cabinets that are a testament to quality craftsmanship. Our team is deeply experienced in designing and building custom cabinets for a wide range of applications. We can work with any type of wood and incorporate any features you might need, producing cabinets that are ideally-suited for any space. From ornate kitchen cabinets with plenty of space-saving features, to garage cabinets that look great and hold up strong, we truly tailor our work for every project we work on. And, with a one year guarantee on every cabinet installation in Ontario, OR, you can be certain you’re getting a finished product of the highest caliber. We invite you to contact us today to schedule a consultation, to learn more about how we can satisfy your demand for truly exceptional cabinets. We serve residential and commercial customers across Oregon and will tailor our capabilities to meet the needs of your space. We’re a locally-owned, family-operated business that takes pride in providing our customers with best-in-class cabinets. We’re a fully-licensed general contractor. Come to us for a free estimate upfront, so you know exactly what the cost of your custom project will be. We can also provide our customers with installation and old cabinet removal. Please note, we do not perform these services if lead paint is involved. Get the right cabinets for your home or business, custom-designed and expertly-built for you. Schedule an appointment today and get a free quote from one of our artisan craftsmen.